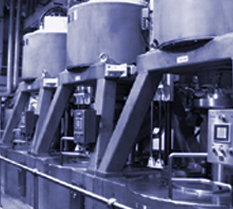 When it comes to catering a wide range of Batch centrifugal applications in the sugar, dextrose and sweetener industries, Broadbent is the customer’s preferred choice. Special variants are also available for the chemical industry processing citric acid, nitrates, and other filtering crystalline materials. Whether you need centrifuges or require after sales support for your centrifugal machines, we provide solutions that meet your needs. In our CL range, Broadbent offers a combination of mechanical simplicity, cleanliness, crystal dryness and full crystal removal. Broadbent batch centrifuges are the right fit where high throughputs and class-leading yields on high purity are required. The Spares, Service, and Repairs (SSR) division at Broadbentdeals with all requirements for centrifuge refurbishment, repairs and spare centrifuge parts for Broadbent centrifuge products and those of many of our competitors. Broadbent can supply centrifuge parts for a wide range of centrifuges. All types of industrial Centrifuge are supported by Broadbent Spares, Service, and Repairs division. To Find out more about Centrifugal Machines, please call us on 111-354-111/021-35651701-02 or fill in our contact form and our representative will get back to you shortly.